The ASTB InnoSAT series provides solution and opportunity for researchers to demonstrate their experiment on orbit. 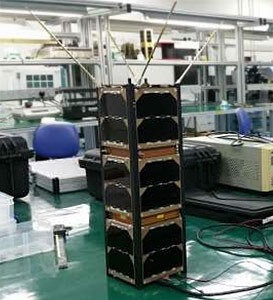 The payload of the 3U CubeSat can be sized upt to 2U. The satelite bus modules and subsystems are interchangeable between ATSB or 3rd party solutions. The satellite carries a dosimeter, a CMOS camera and an experimental reaction wheel. Launch of InnoSat 2 is planned for 2018 on an Indian PSLV rocket.